We were thrilled to be guests of Infiniti for this year’s Pebble Beach Concours d’Elegance, which is one of the most prestigious classic car shows in the world. We were in Pebble Beach the entire weekend as Infiniti unveiled its JX Concept crossover and also introduced the Etherea concept for the first time in North America. The Concours d’Elegance culminated on Sunday, and above we have a slideshow of some of the scenes from the event. 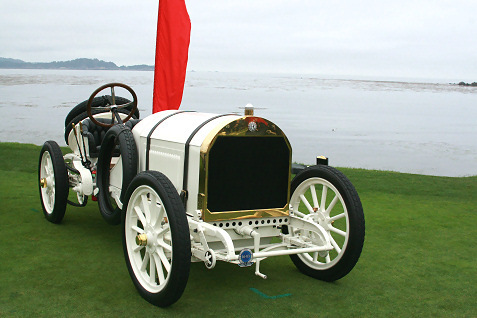 It’s stunning how many rare collectibles are on display at this event, and all the cars are displayed on the 18th hole at Pebble Beach. The day starts early, as guests and media are on hand to watch as each classic car is driven onto the course as you can see in the second photo above. You can spend the entire day there admiring all the cars. This year marks the 50th anniversary of the Ferrari 250 GTO so you’ll see several photos of the Ferraris above. We’ll be posting more photos from the weekend here and on Dashboard News and we’ll be publishing a recap of the event as well so check back soon.